We noticed the above poster in our LDS stake center (Nevada Paradise Stake) on our way out of the building on Thursday night. We were there for a young men’s basketball game. We lost the tough game, but this poster made the evening a win. 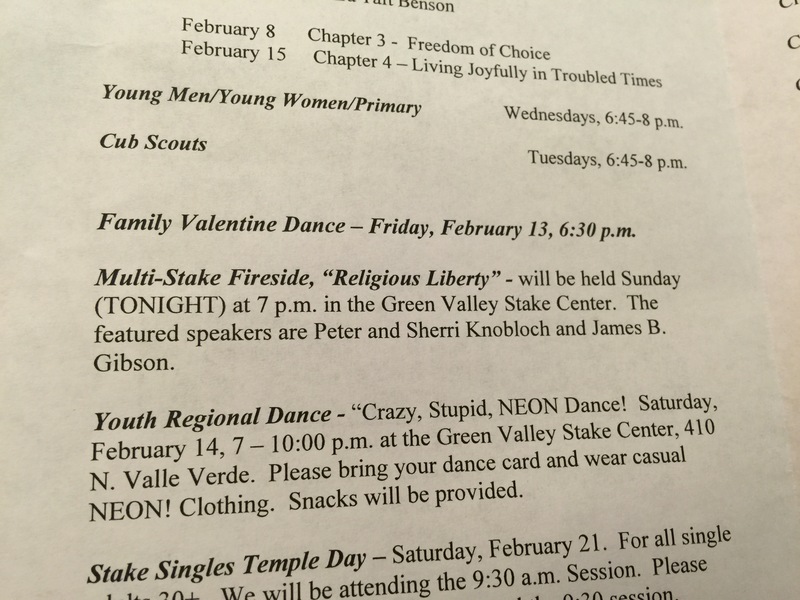 Not very often that something on the bulletin strikes me as more disturbing than a dance. I cannot determine who Peter and Sherri Knobloch are exactly. Can anyone help me out? James B. Gibson is a former mayor of Henderson, NV. He is a Democrat and ran for governor in 2006, but did not secure the party’s nomination. He was called to be an Area Authority Seventy (a regional leadership position within the LDS Church) in 2008. I am not sure if he is still serving in that capacity. I am trying to decide whether to attend. From the title of the fireside, I worry that I might hurt my eyes with all the eye rolling that I might do. 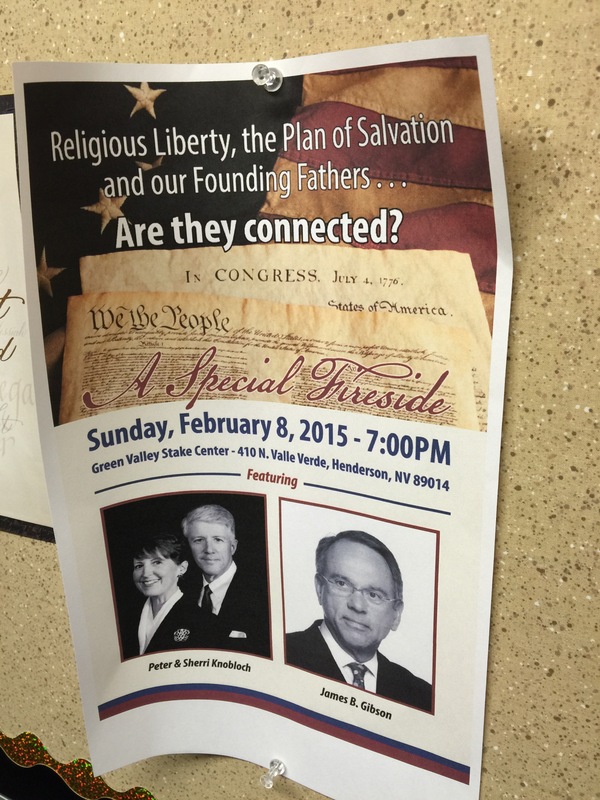 The title is: Religious Liberty, the Plan of Salvation, and our Founding Fathers…Are They Connected? Just typing that up made my gag reflex start to kick in. I’m sure your boys would LOVE to go with you. So, did you go and was it worthwhile? I meant to leave an update. I did not end up going.